Good practice is an enormous part of the difficulty of learning a new language. Unless you have day-and-night access to a native speaker, you end up doing a lot of practice without appropriate feedback. And it ends up feeling a bit unnatural, too. When you end up entering actual conversational situations, you can easily get caught unprepared. Creating an immersive environment for learning can help, especially when you’re learning a tonal language like mandarin Chinese. Lily was made by people who’ve spent time tutoring Chinese. Similar to Google Home Assistant and Amazon’s Alexa, the Lily is a smart speaker that’s entirely voice controlled. 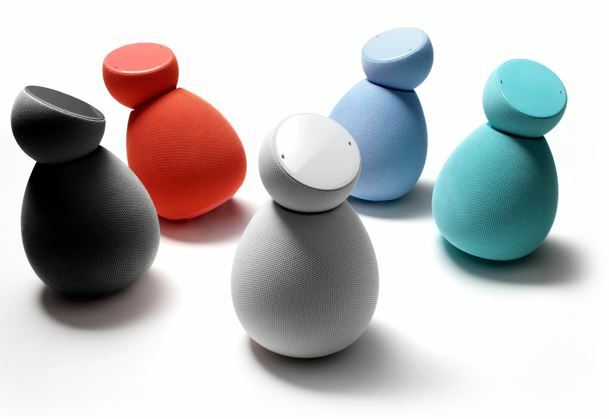 But instead of merely answering questions from a search engine, Lily provides interactive conversations driven by an artificial intelligence. These conversations have their difficulty and topic set adjusted according to your current abilities. As a result, you can use spoken mandarin to practice your speech patterns and emulate real conversations. You can practice introducing yourself, ordering food, asking for directions, and similar important phrases for traveling. Rather than relying entirely on books, flash cards, and vocabulary lists, you can talk to Lily. And Lily provides more than a conversational partner. It also provides lingual immersion in Chinese culture because it can be used almost identically to any other home assistant device. It can help you get your weather in Chinese, set your alarms in Chinese, and even help you listen to your news in Chinese. 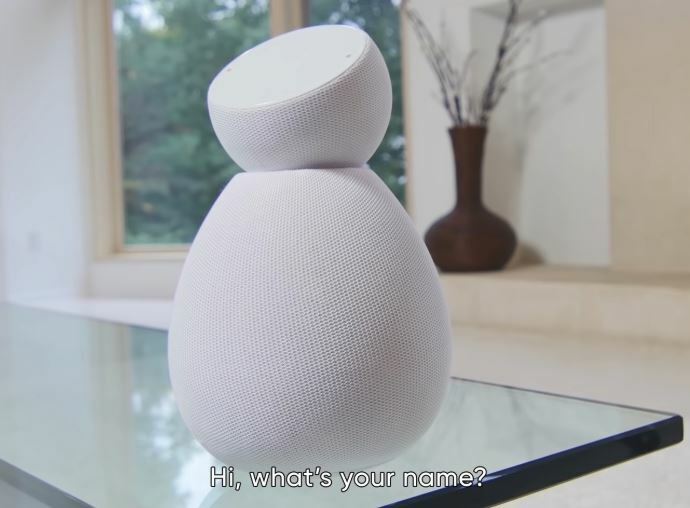 From a physical perspective, Lily looks like a fairly ordinary voice assistant, or rather a voice assistant that’s been glued atop an ostrich egg. The colorful body does slightly resemble a Chinese knockoff of a mainstream voice assistant, which is a little ironic. Apart from its glossy topside, the body is covered in a permeable fabric, intended to help distribute sound. 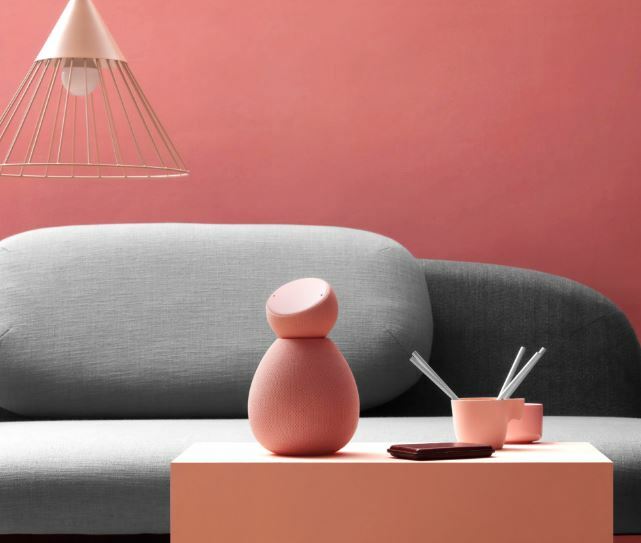 Speaking of glossy and colorful, Lily is available in six colors. That includes red, white, blue, black, teal, and rose. While much of Lily is intended to be controlled through mobile app, it also has an easy to use touch interface. The touch panel on the front face of the device provides plenty of intuitive control options. For instance, if you run your finger in a clockwise or counter-clockwise circle around the edge of the controls, you can raise or lower volume. The rest of the touch controls are equally intuitive. Though there are nearly a dozen, which means you might want to hang on to the user manual until you’ve got the hang of using Lily. Of course, you can raise or lower volume using mandarin voice controls, too. But if you’re only beginning to learn mandarin, you don’t want all of your control menus to be locked behind words you haven’t memorized, and sounds you’re not experienced at using. From a hardware perspective, Lily’s sound equipment is based on Harmon & JBL engineering. As a result, their audio quality compares favorably with mainstream voice assistants. That’s actually pretty important because mandarin is a tonal language. 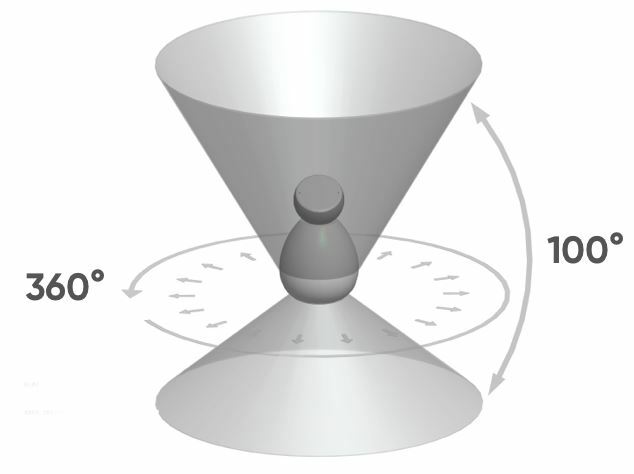 You need the speakers to be sufficient for articulating those tones, and you need Lily to be able to tell the difference between your own usage of tones. Consequently, this set of drivers contains a tweeter, which is critical for helping to provide clarity to the higher treble range. The included long-throw woofer doesn’t compare to a subwoofer when it comes to bass response, but it’s highly proficient at capturing the mid-tones and bass tones of the human voice. Without speakers capable of articulating and annunciating each syllable properly, you would run into issues. Depending on the tone that’s inflected, a word like “ma” could mean either horse, it could mean mother, or it could even be used as a question-word. The audio is powered by a 30W class D amplifier, equipment you’d expect inside of a large and impressive speaker. 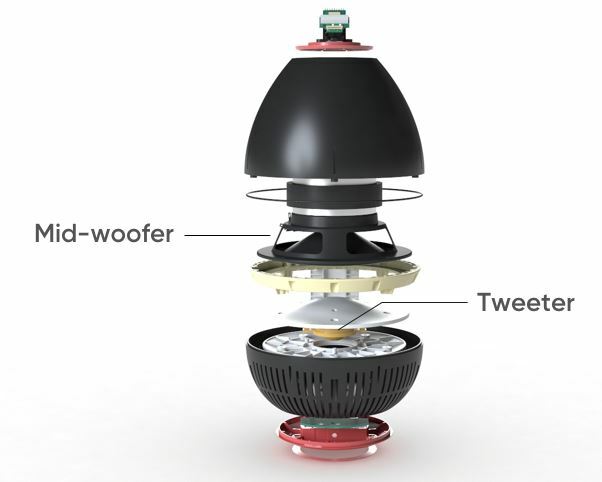 The audio is projected in a 360-degree radius, similar to other voice assistants on the market. Suffice to say, this is a great setup for a smart-speaker. Turning to features, it’s worth noting Lily can administer exam preparation for Chinese courses. Your curriculum can actually be adapted and personalized. If you happen to have a little bit of mandarin experience, but aren’t certain where you should start, Lily can help. A simple exam can help get your current skill calibrated with a curriculum appropriate for you. Whether you’re taking a class in mandarin or you’re studying on your own, it’s a nice feature. The exam structure is actually intended to help you reach target levels within three, six, or twelve months. Depending on how much you want to learn, and how quickly you want to learn it. The HSK Chinese literacy test measures proficiency in six tiers, determined on the basis of total vocabulary. HSK 1 indicates a mastery of about 150 words, while HSK 6 indicates 5,000 words. Someone with HSK 6 vocabulary should be able to work in China and have no problem articulating themselves in casual conversations. It’s only when you start trying to use language in a highly precise manner that your mandarin will need to exceed HSK 6. For example, if you were writing legislation in mandarin, or you were studying philosophy in mandarin, you’d need a deeper understanding of language. Depending on your timeframe for needing to learn, Lily can help you plan time-appropriate learning goals to help match your goals and expectations. Similar to an Alexa, Lily can operate as a Chinese voice assistant. That means it can provide you information about the weather, the time of day, the traffic on your route to work, and so forth. Except you’ll be getting all that information in mandarin. There’s not much worth mentioning about the support app. It allows you to view Pinyin and study Chinese characters. It looks pretty barren and simple, but it’s actually a pretty effective teaching space when used alongside Lily. You can find a couple of vocabulary voice games. These games let you learn mandarin in a more interactive way than simply working through translations. It’s a nice change of pace. The games are also intended to be skill appropriate. Though the games are a bit basic. For example, the app might show you a photograph of an elephant, and expect you to verbally identify the animal while using mandarin. There are actually several games, and you can find them based on different types of word groups. For example, you’ll find color based games, family member games, number games, animal voice games, country games, furniture identification games, and so forth. Though Lily said one of its benefits was that you don’t have to deal with flashcards, some of these games are really like interactive flash cards. But what really sets Lily apart from a flashcard is how it can help improve your pronunciation. Lily can even grade you on the accuracy of your current pronunciation, so if you’re getting 85% of the way to perfect, you can make small adjustments to approach perfection. Lily portrays the process of learning mandarin with their approach as being free from traditional methods of studying, like books and flash cards. However, the truth is a little more complicated. Conversational interaction is among the best ways to learn a language. But if you’re serious about learning a language, you want to draw from several sources. People incorrectly believe they can simply download a single language app and learn everything they need to know from it. A single source for your learning, like Lily, can take you a long way. But if you’re serious about learning Chinese, you’re going to have to end up incorporating multiple sources into your learning endeavors. Lily connects to the net using 802.11ac Wi-Fi connections on either the 2.4GHz or 5GHz band. It can also connect using Bluetooth 5. It supports common audio formats like mp3, and high resolution formats like FLAC. 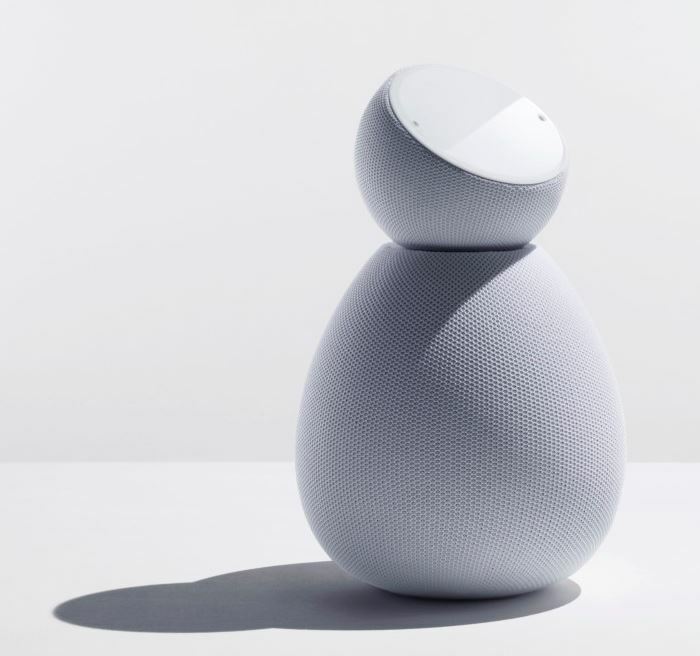 The Lily wasn’t constructed with AI based on Google Assistant or Alexa, it was made with proprietary software. Those sort of mainstream voice assistants have all done some curious things with respect to privacy. Lily has pledged to only use your data for learning, and not for the purpose of selling advertisements or getting you to buy things. For the time being Lily was designed specifically for Chinese. But over the course of 2019, they anticipate the addition of Spanish and French support. People who have the Chinese version will automatically be upgraded to the multi-lingual software. There are some limits to artificial intelligence and conversational language, but you won’t encounter them often while still learning the rudiments of a language. 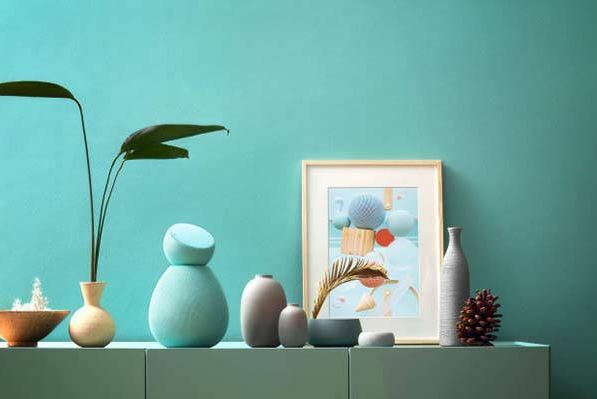 When your mandarin becomes fluent, you may find that your conversational ability will outstrip Lily, similar to how devices like Google Assistant struggle to understand complex phrasing. Practicing by speaking to an AI instead of a person spares you the embarrassment of making pronunciation mistakes, while still giving you nearly all the advantages of being able to interact with a native speaker. It’s not hard to see why Lily is a pretty good choice for someone who’s interested in learning mandarin, or someone who’s interested in maintaining their mandarin. It provides a gateway to mandarin podcasts, mandarin jokes, mandarin stories for kids, music with mandarin lyrics, and so forth. Almost anyone who’s tried learning a language can tell you nothing will help your learning like being immersed in the culture and language in question. You probably don’t want to use a single tool to learn any language. Not one app, not one software program, and not one Lily. But for people who want to learn new languages, devices like Lily are probably invaluable. It’s hard to imagine they won’t be widely used by students across the country in only a matter of years.